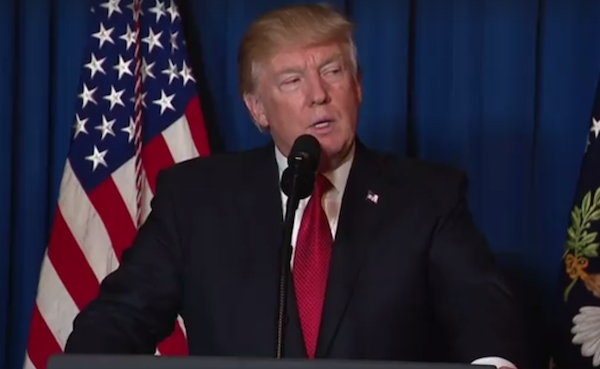 It took the threat of nuclear war with North Korea to reportedly get the White House to put a hold on the policy re-instituting the ban on open transgender service in the military. A White House source, who spoke to the Blade on condition of anonymity, said “A Guidance Policy for Open Transgender Service Phase Out”— which had been certified by the White House Counsel’s Office after repeated advice that it would result in lawsuits—was expected to be sent to Defense Secretary James Mattis sometime during the week starting Aug. 7. Additionally, the Pentagon source says that Mattis intends to put a hold on all personnel matters, though disciplinary issues such discharges will continue. However, anything that affects military strength and readiness, specifically troop numbers, will be put on hold. Meanwhile, the Pentagon confirmed to the New York Times Aug. 9 that it has not yet received the trans guidance. More pressing is possible nuclear war. On Aug. 5, the United Nations Security Council imposed tougher economic sanctions on North Korea after the isolated country tested two intercontinental ballistic missiles. China and Russia voted with the United States, something of a diplomatic coup, considering China’s connections to North Korea. Trump and his advisers had been warned by President Obama and National Security Adviser Susan Rice that Kim Jong-un was developing a threatening nuclear program—a fact made more concerning when the Washington Post reported that North Korea has developed a miniaturized nuclear weapon that can fit on top of an ICBM, which is capable of reaching the United States. Los Angeles, considered a prime target, is 5,935 miles from North Korea. North Korea threatened a preemptive strike creating “enveloping fire” against Guam, a sovereign U.S. territory that’s home to combined Navy and Air Force forces at Joint Region Marianas, with 6,000 service members, a port for nuclear submarines and other major military forces and more than 162,000 Americans. Last June, Guam held its first LGBT Pride parade with 150 people, including Guam Legislature Speaker Benjamin Cruz. While Mattis did not specifically mention tabling the transgender service ban, it can be extrapolated that dealing with such a major policy change would be exceedingly disruptive during a time of crisis, especially when a military leader would want the ability to deploy all available troops. Meanwhile, GLAD and the National Center for Lesbian Rights filed a “Doe v. Trump lawsuit on Aug. 9 in federal court in D.C., seeking an injunction against Trump’s directive to reinstate a ban. The two LGBT-focused law firms note that the military has already carefully studied the ban, which led to former Defense Secretary Ash Carter agreeing to lift the ban on open trans service in June 2016 after a RAND Study he commissioned indicated there would be no problems either with service or limited costs for medical care. Thousands of trans service members subsequently came out and have been serving openly without incident. The firms represent five of those active duty service members. The lawsuit asserts that Trump’s tweeted directive violates the equal protection and due process guarantees of the Constitution, discriminates against one group with no legitimate purpose and contradicts the military’s own conclusion that there is no reason for the ban. 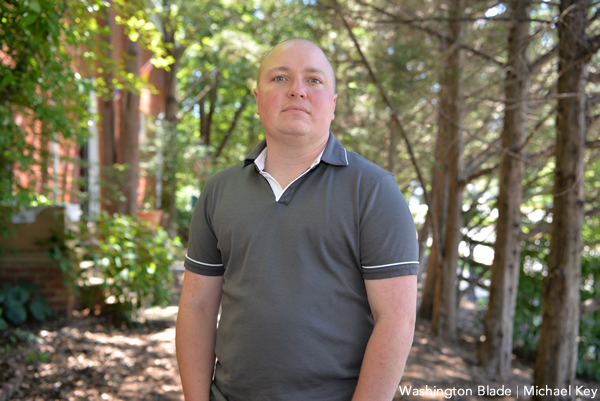 Transgender service members also relied on the continuity of the policy after Mattis’ Jan. 12 confirmation hearing in which he assured lawmakers that he would not roll back the Obama administration rules. Sen. Mazie Hirono (D-Hawaii) asked specifically if Mattis thought there was anything innate about being a woman or LGBT that would disqualify them from serving in a lethal force, Mattis said, “No,” The Hill reported. 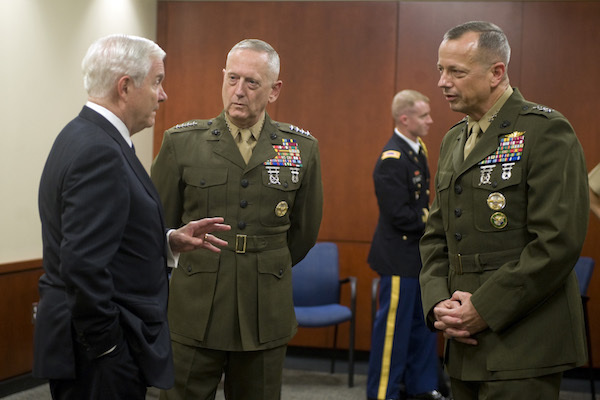 “We are heartened by Gen. Mattis’ stated commitment during his testimony not to reverse the profound progress we have made in ensuring LGBT service members and their families are able to serve our nation with pride,” American Military Partner Association President Ashley Broadway-Mack and OutServe-SLDN Executive Director Matt Thorn said in a joint statement. So how did the White House, the Defense Department and the LGBT community come to this point, especially after then-candidate Trump promised to protect the LGBT community? “Thank you to the LGBT community! I will fight for you while Hillary brings in more people that will threaten your freedoms and beliefs,” he tweeted on June 14, 2016. Then there was his acceptance speech at the Republican National Convention on July 21, 2016. “Only weeks ago, in Orlando, Florida, 49 wonderful Americans were savagely murdered by an Islamic terrorist. This time the terrorist targeted our LGBT community. 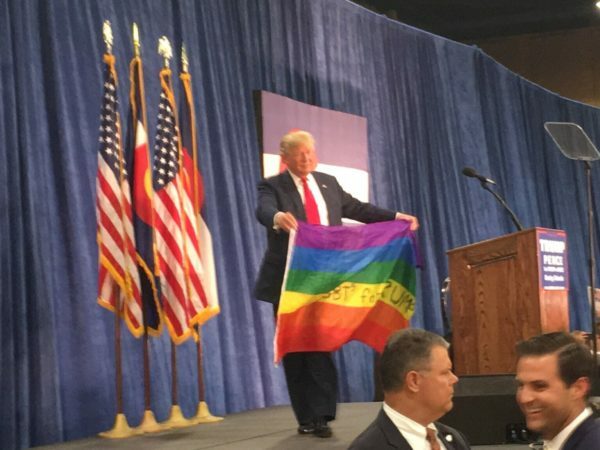 As your president, I will do everything in my power to protect our LGBT citizens from the violence and oppression of a hateful foreign ideology,” Trump said. 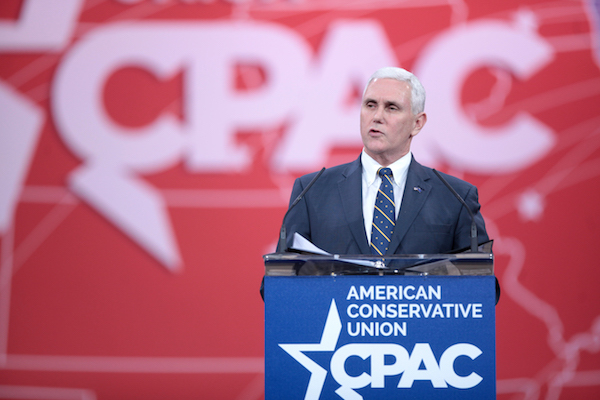 But that promise clashed with another promise Trump made to his more reliable base, the evangelical community, led by Vice President Mike Pence and Family Research Council President Tony Perkins. The specific drive to repeal and replace the open transgender service commitment started behind the scenes with a series of anti-LGBT nominations in March and April, with the growing sense that some military officers were pressing the chiefs to roll back the policy through an amendment to the National Defense Authorization Act. They found an opening when on May 10, USA Today reported on two transgender cadets at the Air Force Academy and at West Point. That exposed a glaring loophole in the accessions policy, the procedure for accepting new troops into service. On May 21, USA Today reported on a May 8 memo from Deputy Defense Secretary Robert Work instructing the service secretaries and chiefs of the armed services to assess the military’s “readiness to begin accepting transgender applicants on July 1, 2017.” Their assessments are due May 31. Brad Carson, a top Carter official for military personnel and an advocate for lifting the ban, told USA Today he was concerned about how the other ordinary memo, for a new administration, could be interpreted. He was right. The articles exposing the loophole in the accessions policy and the May 8 memo, triggered a Religious Right chain reaction, with the Heritage Foundation reaching out to the Military Times to follow up. This was also during the same period that there was much coverage of Chelsea Manning in the media. On May 16, 85 conservative leaders, many like Tony Perkins, head of the Family Research Council, and scores of retired anti-LGBT military officers, issued a statement opposing transgender service. That was enough to motivate a number of religious Republican conservatives in the House — led by Rep. Duncan Hunter of California and Rep. Vicki Hartzler from Missouri — to launch a series of amendments to the NDAA. By now, Freedom Caucus chair Mark Meadows of North Carolina, Mo Brooks from Alabama, Steve King from Iowa, and Trent Franks from Arizona were involved. Meanwhile, Perkins, along with his colleagues Ken Blackwell and Lt. Gen. Jerry Boykin (ret), went to Vice President Mike Pence who agreed to step in and help if he could, according to a source with knowledge of the situation. The LGBT coalition quietly working on this were confident (if they could get to May 31) because there had already been one year of open service without incident for an estimated 15,000 trans service members in all five branches of service, and because of the assumed power of the RAND Study. “Only a small portion of service members would likely seek gender transition-related medical treatments that would affect their deployability or health care costs,” said Agnes Gereben Schaefer, lead author of the study and a senior political scientist at RAND. Hunter, Hartlzer, Brooks, Franks and Meadows approached White House Deputy Chief of Staff for Legislative Affairs Rick Dearborn to get involved. “Dearborn has the ear of Vice President Pence. So he and the VP talked about it,” the source said. This same week, there was a meeting of evangelical leaders at the White House and they briefly discussed the transgender issue. “But when Pence got back to his office, he made a call over to Meadows and they had another discussion about it,” the source says. It was at this point that Rep. Pete Sessions, who is chair of the House Rules Committee, was basically saying we’re not going to let it in on the final rule, it’s basically going to have to go as an amendment to the bill on House floor. Speaker Ryan agreed. Hunter and Hartzler, Brooks and Franks lined up as many votes as they could get, as did the pro-LGBT side. The LGBT side needed all the Democrats and at least 25-30 Republican moderates to cross over, which happened after it was confirmed that Mattis had lobbied against the amendment. Though it was a narrow vote—214-209—the amendment was defeated. But the issue didn’t die, even after Mattis spoke directly to Ryan and others. Hunter, Hartzler, and Meadows would not take “no” and eventually went to Pence. While Trump was on his way to a rally in Ohio, Pence, Dearborn, Steve Bannon, and others held a conference call with the Republican legislators. At some point, the source says, Pence made a call to the plane and discussed the situation with Trump. About five hours later, Pence called the plane again as it was on its way back to Joint Base Andrews. The issue was brought up again the next morning during the morning briefing and 25 minutes after that came the first tweet. There was a nine-minute gap, then came the second tweet, and then that was quickly followed by the third tweet. Mattis and the Pentagon were told something was going on the day before, but not what it was. They were told to stand by for a change of direction in policy. They were all reportedly caught off guard by the tweets. And everyone was caught off guard by the swift backlash from such conservatives as Sens. Orin Hatch of Utah and Joanie Ernst of Iowa. The consensus was that this is not how policy is done. Reversing the policy of inclusion for transgender service members has been a priority of Pence’s base—the religious right—since the ban was lifted on June 30, 2016. Just because of the possibility of war, a lawsuit seeking an injunction against the expected White House guidance, and the fact that Mattis does not want the anti-trans policy should not mean the LGBT community should drop its guard. Trans service may be constitutional but it’s still under attack in a war of the Religious Right’s making.